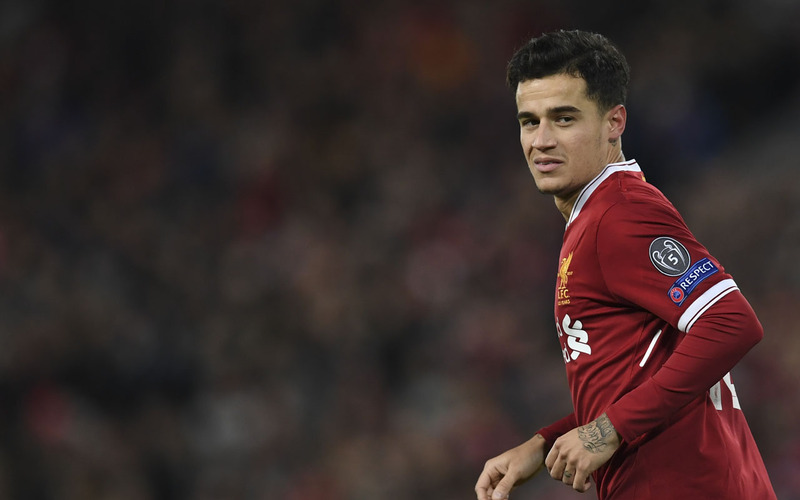 Brazilian midfielder Philippe Coutinho was in Barcelona yesterday to tie up a 160-million-euro ($192 million) move from Liverpool, the third-richest deal of all time. “Bem-vindo! Welcome! Benvingut! ¡Bienvenido!” Barca tweeted to Coutinho along with a waving hand sign and a video showing a shirt bearing his name in a locker. Spanish league leaders Barca host Levante yesterday at Camp Nou, but Coutinho will not be in the stands. “He will not be attending the match,” a club source told AFP. According to Catalan daily Sport, current La Liga leaders Barca want attention turned solely on the Levante match and not their new recruit, who should be officially presented to media today. The swoop for the 25-year-old attacking midfielder – which contains a 400-million-euro release clause – is the third biggest transfer in football. It is outranked only by Paris Saint-Germain’s world record 222m-euro signing of Neymar from Barcelona last year, and PSG’s capture of French striker Kylian Mbappe for a deal that will eventually be worth 180 million euros. Rio-born Coutinho arrived at Liverpool from Inter Milan for a mere £8.5 million in January 2013 and scored 54 goals for the club in all competitions, although he won no silverware during his five-year stay at Anfield. Barcelona had tried to sign him in the summer and his departure now is a blow to Liverpool as the playmaker has just returned to top form after an injury-hit start to the season, scoring six goals in the last seven games of 2017 to put his side firmly in the Champions League places. “It is with great reluctance that we -– as a team and club –- prepare to say farewell to a good friend, a wonderful person and a fantastic player in Philippe Coutinho,” said Liverpool manager Jurgen Klopp. “It is no secret that Philippe has wanted this move to happen since July, when Barcelona first made their interest known. For Barcelona, Coutinho’s signing will allow the club to move on from the bitter experience of losing his Brazil teammate Neymar to Qatar-backed PSG last summer. Coutinho’s age is highly attractive to Barca, whose three main stars, Lionel Messi, Luis Suarez and Andres Iniesta are all in their thirties. Iniesta, at 33, has shown signs of fatigue this season.